Women are still in the minority as successful painters, while women as a subject have always been in the forefront of art history and modern art. It is always interesting to see the difference in the way that women depict their own gender as opposed to the more common muse and artist relationship of men painting women. 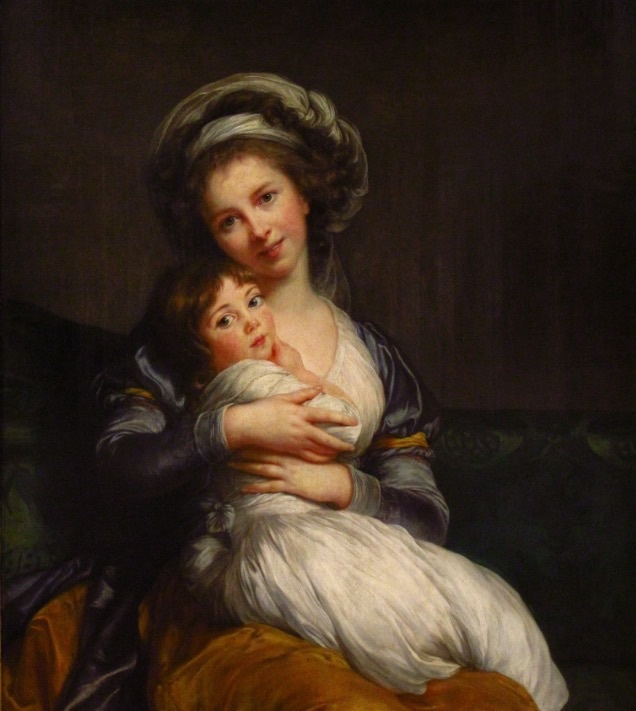 Luise Elizabeth Vigee LeBron is probably the most influential female painter of the 18th century. I don't really see a distinct difference between her overall depiction of female muses and a mans. There does seem to be a greater comfort level that the muses have in posing for her and certainly the greatest level of intimacy and disclosure is achieved with her self portraits.